Not only are the windows overlooking my backyard covered with fingerprints, there are numerous nose prints here and there on the glass as well …which makes me smile. Grass clippings and dirt stick to my bare feet and I kick a toy tractor out of my way as I go for my first cup of coffee. The house is quiet. I thought I would relish the peace this morning, but the lack of noise is almost too loud. Grand children have kept me hopping for the last four days. The busyness has been constant. An old croquet set and a couple of jump ropes were discovered along with sidewalk chalk, frisbees and several other forgotten toys . Little boys talked me into setting up the tent so they could have a “headquarters” for an afternoon of detective work. 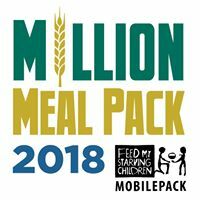 We unboxed Barbies and Polly Poc kets for one child and created bean fields out of blankets so the other two could harvest with their toy combines. 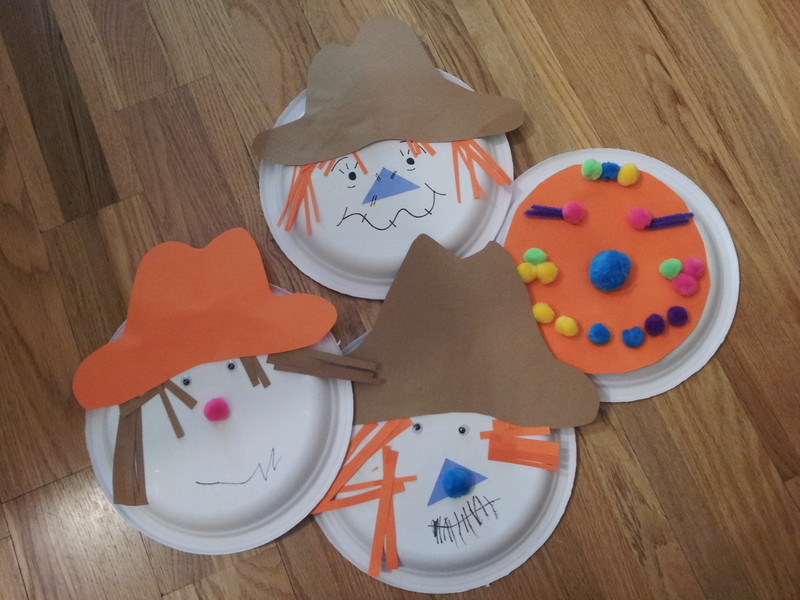 Little hands got sticky with glue as paper plate scarecrows took shape. 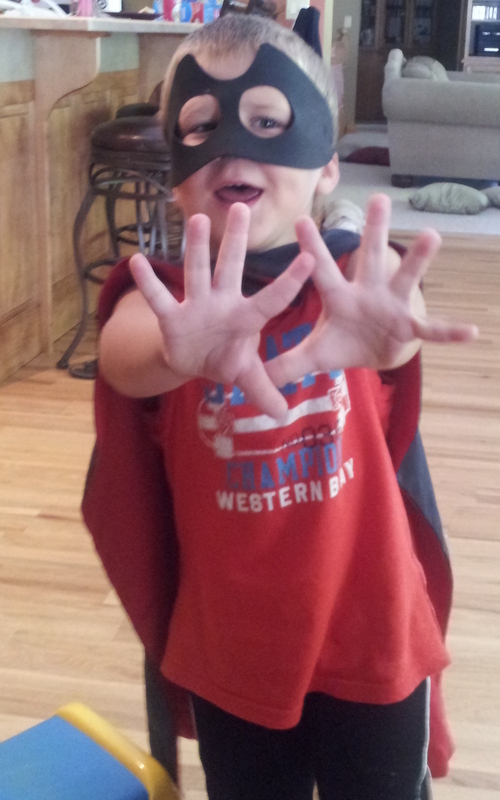 And Batman asked several times, “did I scare you, Gramma?”. We took an afternoon to meet up with Papa, riding in the combine and soaking up knowledge about corn and beans. Those inquisitive minds asking so many questions about farming. 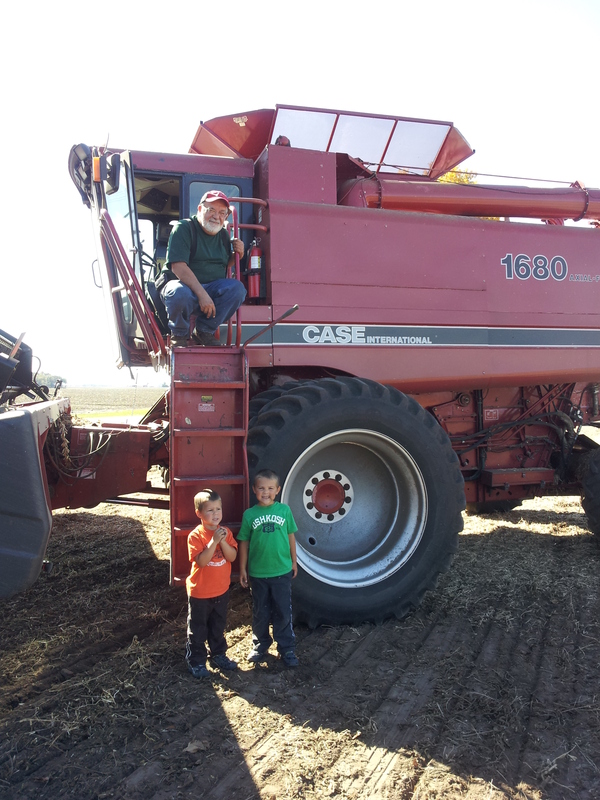 They love the red combine and wait anxiously all year for it to “wake up”. And between all that activity, those small bodies were crawling up on the bar stools again and again, waiting to be fed… like little birdies. Seriously? You’re hungry again? My kitchen is now devoid of any cookies, donuts or fruit. I mi ght also be out of bread and cheese. I’m not ready to take inventory and commit to a grocery run. I want another cup of coffee first. I’m feeling a little blue as I savor my last few sips of Pumpkin Spice Blend. I once had four little ones of my own. I lived the chaos. But I have gotten soft and lazy… and self-focused. Caring for little ones doesn’t leave much time for reflection. Life is crazy. Life is about them. There is barely time for a shower! Survival is the goal on many days. It is easy to forget the mayhem of the day-in and day-out of mothering. I commit to pray more for my daughter. As they covered me with hugs and kisses last night as they said their good-byes, I breathed a sigh of relief. However, at the same moment, bittersweet emotions brought a lump to my throat. So glad to see them… so glad to send them home. Am I allowed to say that? I guess, as Gramma, I am. So, yes, the windows and floors are dirty; my cupboards are bare. And a few toys yet need to find their shelf. My bones are a bit weary. I need a break today. And quietly, as I go for my final cup of brew, I grab my calendar and mark off the days until those little kiddos are running through my house again… because I sure do miss them today. Well said Connie! I understand completely! Being a Grandma is amazing, but exhausting at the same time. 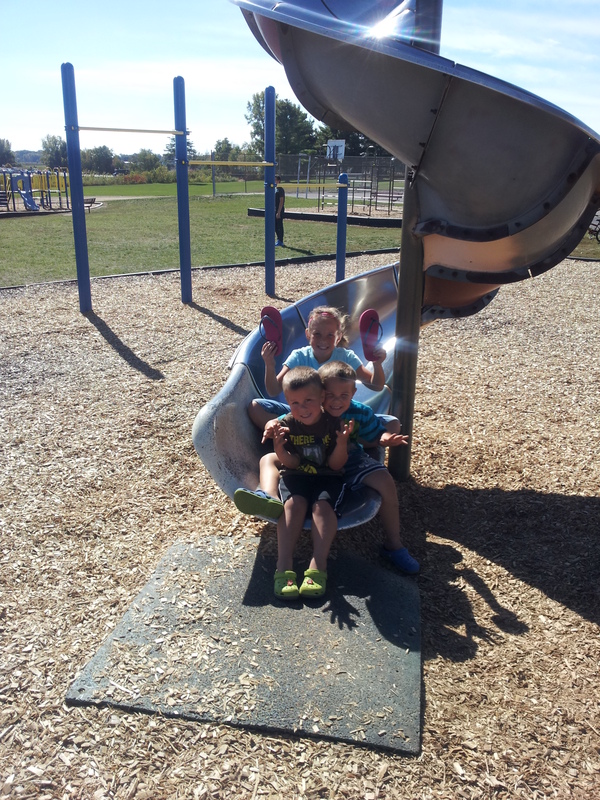 It also seems that grandchildren grow up way faster than your own kids did! I so enjoy your entrys Connie. Such a great way to journal. Love you loads!!! Well, you already know my feelings on these writings of yours! They always bring a tear or two to my eyes….because you are just a couple steps ahead of me in this journey of life. Love it!!! Keep writing, Connie!